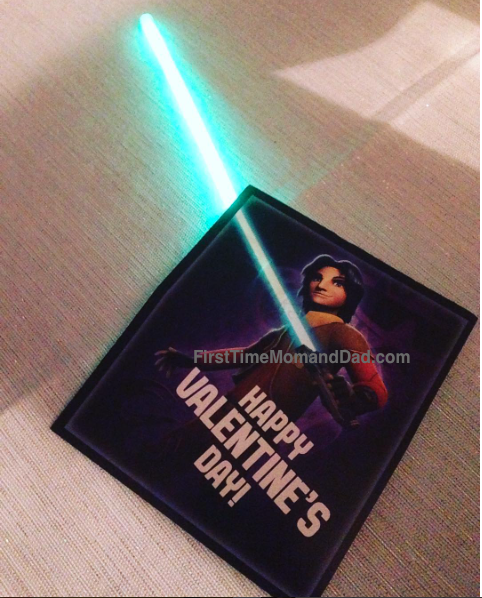 Last year, I made Star Wars Lightsaber Valentines for Ollie's class that teachers and a few parents complimented me on! They were pretty cool if I do say so myself, and super cheap to make! I thought I would share the idea for the other parents out there with Star Wars obsessed littles. I'm going to keep this short and sweet because this valentine is so easy, your child can help! Four simple steps. 1. 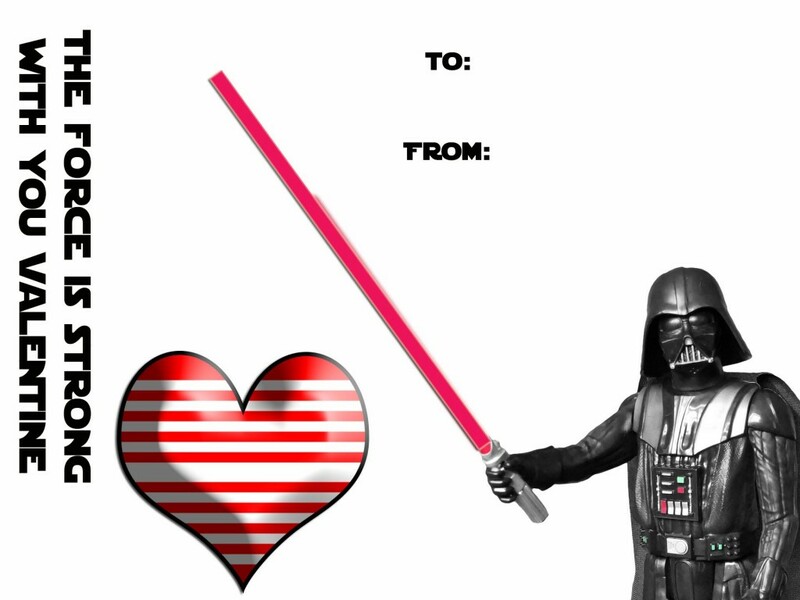 Find the Star Wars Valentines that suit you. 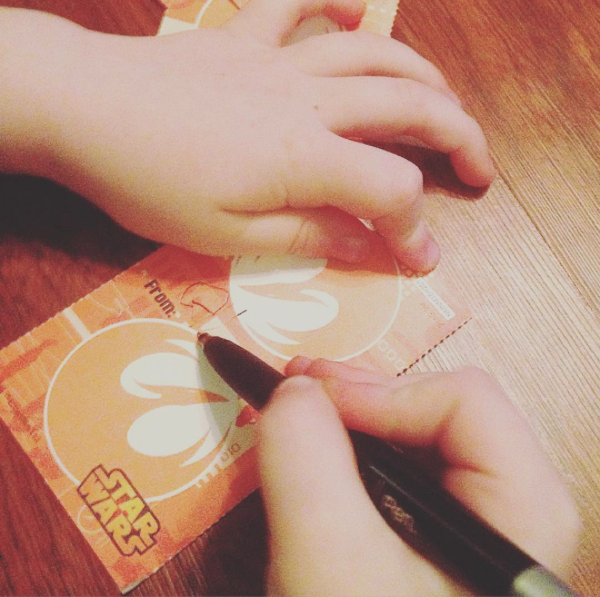 I picked ours up at The Dollar Tree, but have seen them everywhere else! 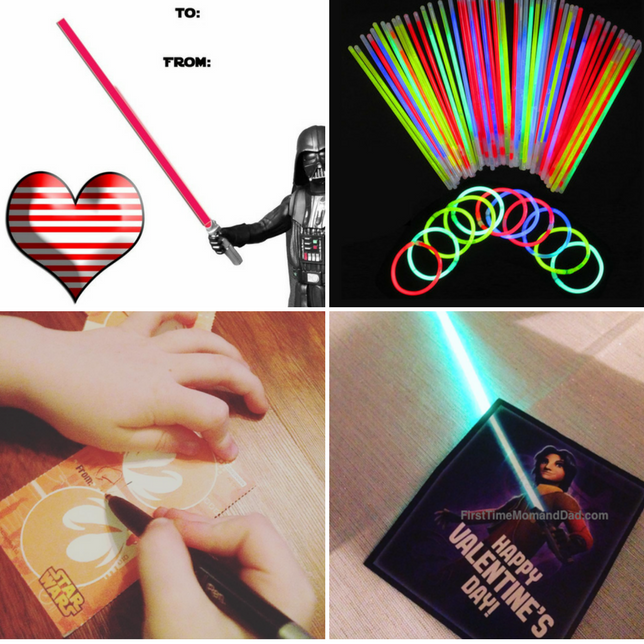 Look for a design that will be easy to incorporate a lightsaber. 2. Have your child fill out the valentines. I know it can be annoyingly slow process having your child fill them all out, but chill out, this is a great learning opportunity and penmanship practice! 3. 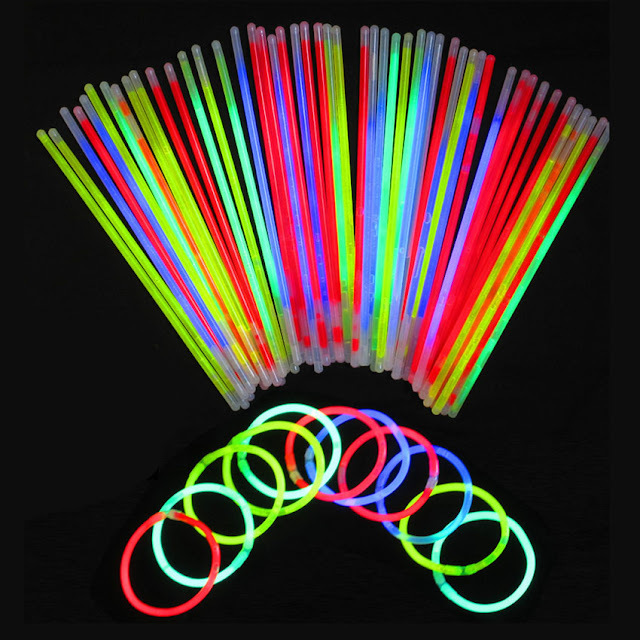 Pick out red/yellow/blue/green glowsticks from the pack. Use those first. 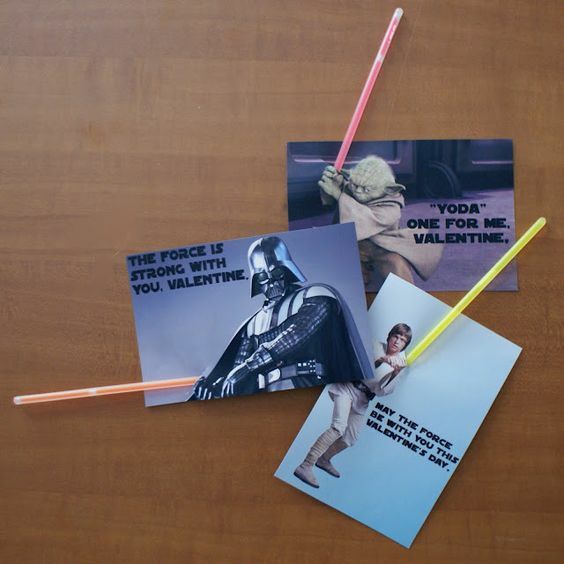 You can either crack them the day of the class Valentine exchange, or wait, and let the child crack the glow stick. The latter is my son's preference. 4. Cut a small slit where you want the glowstick to slide in the card, and that's it. 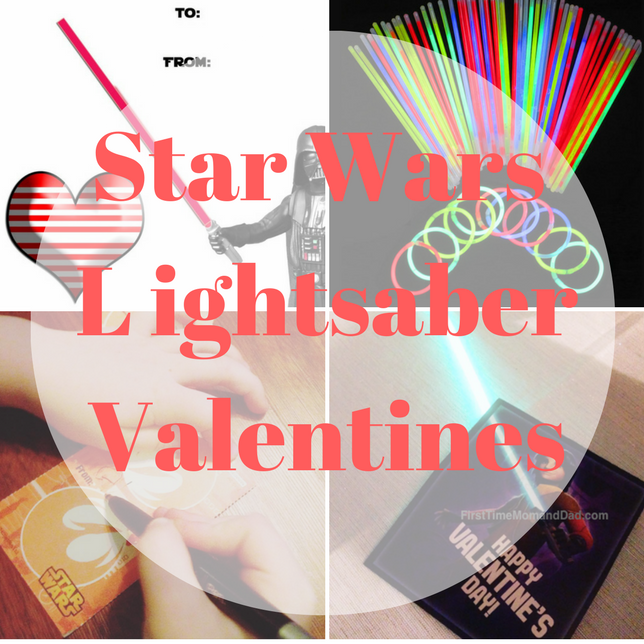 There you have it, one trip to the Dollar Tree and the Super Cool Star Wars Lightsaber Valentine can be yours for under five bucks!